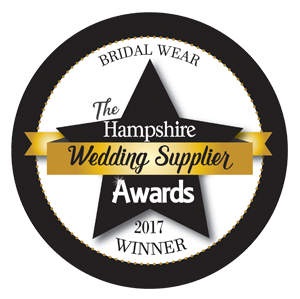 Creatiques are a multi-award winning Bridal Boutique, based in the heart of Southsea. With over 27 years of experience within the Bridal Industry, co-owners Andrew and Robert Pearce and their small team of highly trained and experienced Bridal Consultants offer a personalised, one-to-one appointment to each and every bride. Within a beautifully furnished surrounding, home to over 130 handpicked sample gowns, the team pride themselves on their longstanding ethos – ‘From the first step through the Creatiques door, to your first step down the aisle’. Home to over 130 hand selected bridal gowns from the UK’s top designers Justin Alexander, Maggie Sottero, Eliza Jane Howell, Sottero and Midgley, Lou Lou Bridal, Sincerity Bridal, Lillian West and Mark Lesley, Creatiques offer a personal, appointment only service within the beautiful surroundings of their award winning boutique. 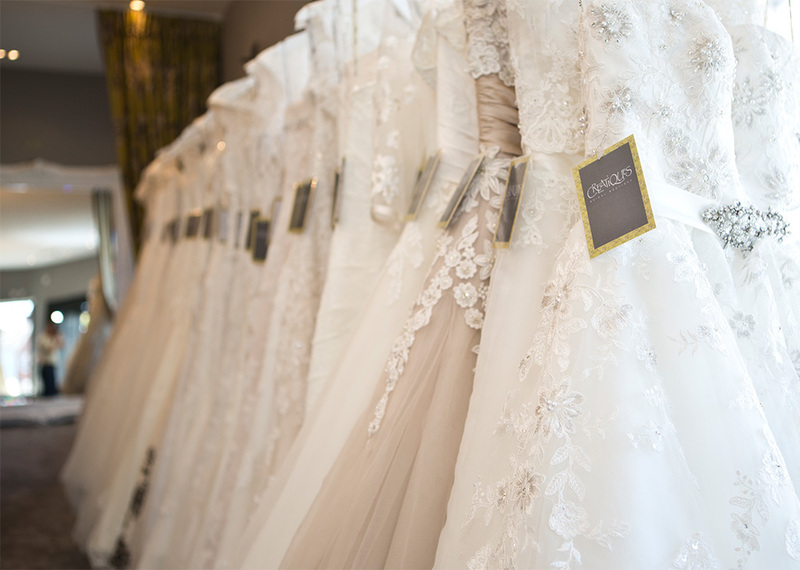 Offering sizes from an UK 8-36, the Creatiques Team are all highly trained and experienced with all aspects of their beautiful sample gowns; and have over 25 years worth of expertise when it comes to dressing all shapes and sizes. This stylish, spacious Boutique has three elegant and completely personal fitting areas. 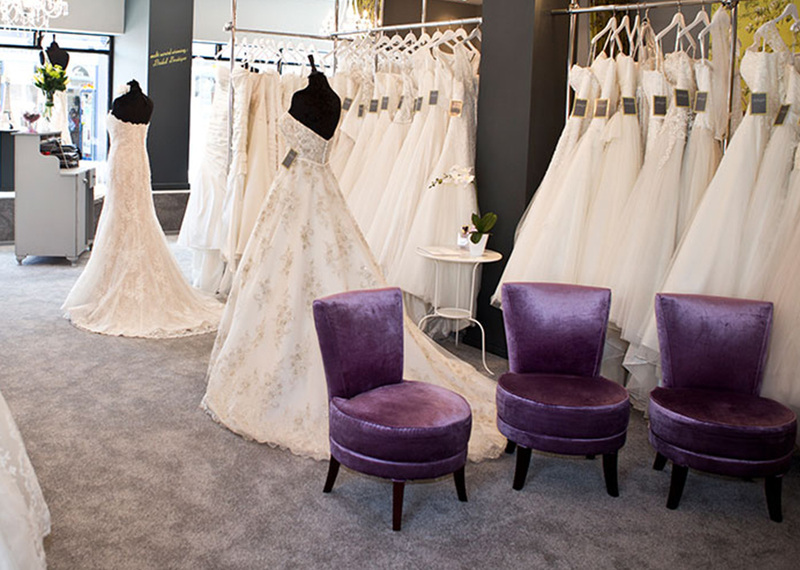 Each area has comfortable seating for the Bride plus two others and is surrounded by rails of beautiful gowns. Downstairs in the recently converted basement area, there is a newly added in-house alteration studio for those final adjustments and last minute touches before the big day. Passionate and precise, there isn’t much Andrew doesn’t know about a wedding dress. 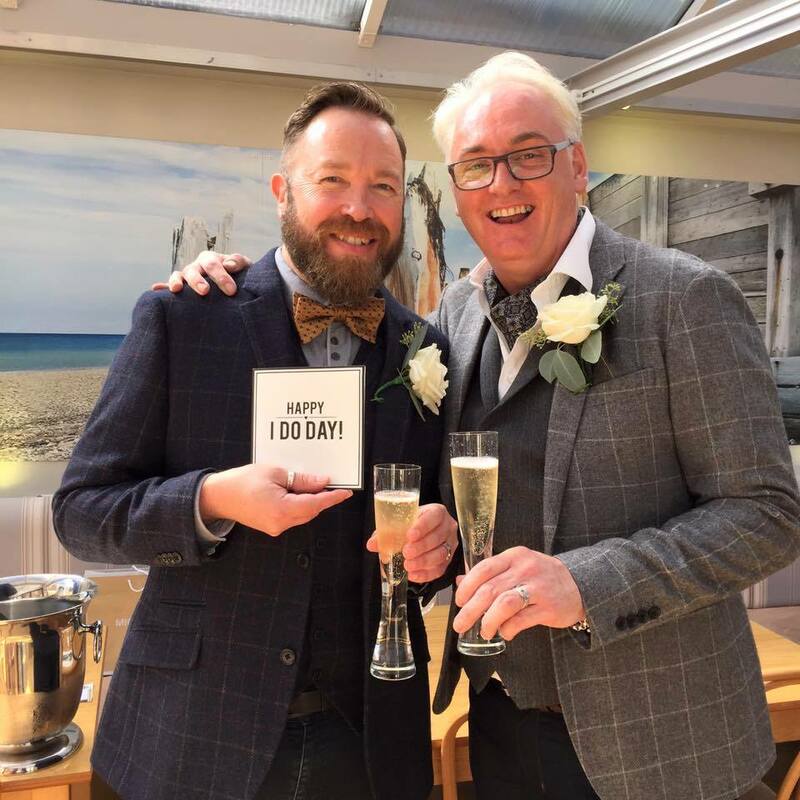 Starting Creatiques all those years ago in a small workroom in his house, Andrew not only fronts the award winning business and is a bridal hair expert but is also renowned fashionista within the industry. Andrew will stop at nothing to deliver a second to none service to the Bride’s and this shows in his persona. In his spare time (not that there’s much of it mind) Andrew enjoys cooking up culinary delights, which he has proved rather fabulous at; so much so that in 2013 Andrew reached the semi-finals of ITV’s ‘Food Glorious Food’ as his very glamorous alter-ego The Fabulous Miss G. As Miss G, Andrew has since gone on to raise hundreds of thousands of pounds for Hampshire based charities, and Queen Alexander Hospital. Kayleigh joined the team back in 2014, bringing with her a fresh take on the Bridal Industry. Kayleigh’s warm, friendly and down to earth approach makes her a popular choice with Bride’s who are slightly nervous or unsure of where to go with their style. Kayleigh is in store every day and works closely with The Boys on the day to day running of Creatiques; Kayleigh’s is a consistent face you will see throughout your Creatiques journey. 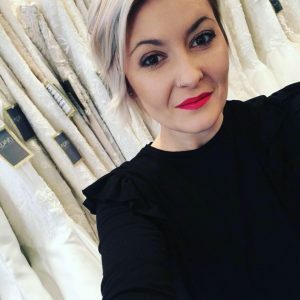 Kayleigh enjoys pulling out a ‘wild card’ dress in every appointment, which whilst still dressing for the Bride’s shape, pushes them slightly out of their comfort zone proving to be an absolute gem of a technique with the majority of Kayleigh’s brides.